As you already know the team here are gold, silver and uranium bugs and we regard all three as precious metals. However in recent months a number of analysts have placed gold ahead of silver in terms of which will generate the best returns. 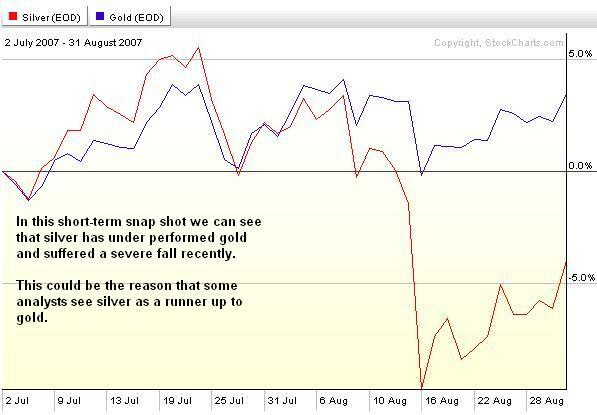 Some of our readers have wrote and asked if we agree that gold will be the better performer? The short answer is no we do not agree. It looks real bad for silver as you can see silver has been hit very hard. As investors who follow this on a day to day basis our minds are filled with the micro activity occurring on our screens by the minute so much so that last month appears to be a long time ago. Isolated instances such as these must not be seen as the ‘norm’ as you all know one swallow does not make a summer. 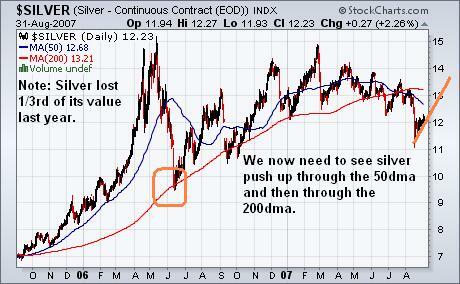 Now stand back and look at the longer-term history of silver verses gold. 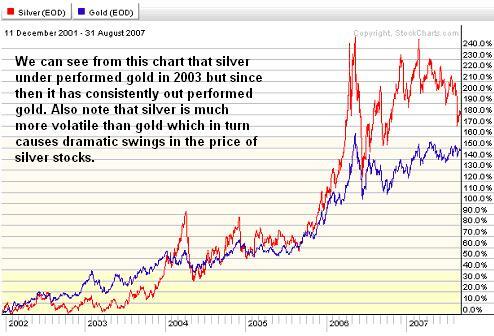 Wow, we now have a totally different picture with silver outperforming gold over last few years. Try to bear in mind that 51% of silver is used for industrial purposes and is therefore effectively taken off the market with little chance of ever coming back, the same cannot be said of gold. 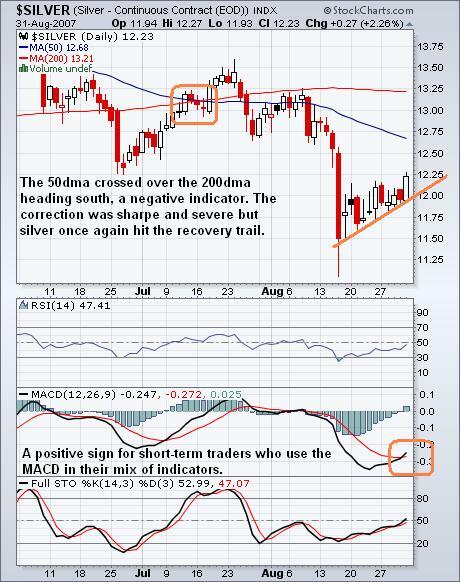 We can also see that silver is much more volatile than gold which in turn provides us with both investment and short-term trading opportunities. We have recently given a number of buy calls on quality silver stocks (PAAS and SSRI) and also taken out a short term bet on silver itself in the London market (the silver spot price has risen 22 cents since our BUY signal and we are very happy with the progress so far) . We are bullish and excited about the prospects for gold and anticipate excellent returns from both gold and it’s associated quality mining stocks. And finally a quick look at the chart for silver itself depicting the recent sell off, presenting us with a buying opportunity and also showing us that silver has already started on the road to recovery. Going back a little further we can see that silver lost around 1/3rd of its value in a sell off last year, however, the come back is persistent. We believe that silver will give us a hair raising, gut wrenching, white-knuckle ride, definitely not for the faint hearted. If you have some spare cash and you feel a little like Captain Jack Sparrow then come and join us in what we see as the most exhilarating ride at the starting gate right now. For ideas on which silver stocks to invest in, subscribe to the Silver Prices newsletter at Silver-Prices.net completely free of charge.